Nottingham owes its location to the Rivers Trent and Leen which provided the early settlement with means of transport, defence and water supply. Wells, springs and rainfall were other important sources of water, although many people had to buy their water from carriers known as ‘Higglers’. Water was taken from the River Leen and pumped into a small open reservoir on Park Row, from where it flowed by gravity to most parts of the town. 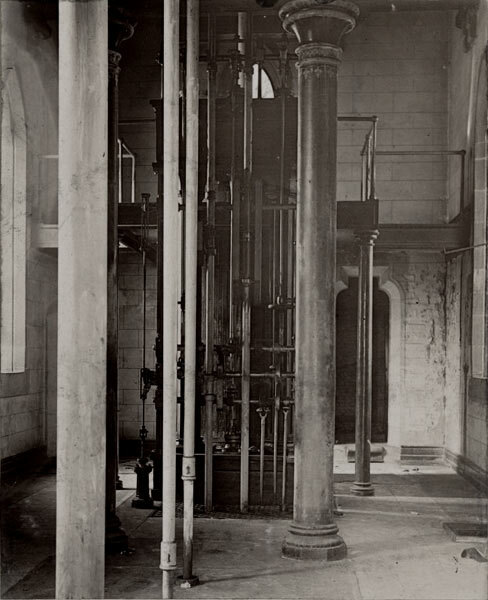 Water was drawn from two wells near Canning Circus and Alfreton road using a steam beam engine that also sawed blocks of marble. The company ceased to exist independently after 1824. Water was pumped from a well in Sherwood Street to supply the north east areas of the town. Higglers working for this company charged ¼ d for each bucket of water or ½ d if it was delivered up an alley or courtyard. In 1831 the company established the Trent Works on the River Trent. The water works extracted water from the river, filtered it and pumped it by a steam driven beam engine to Park Row reservoir. 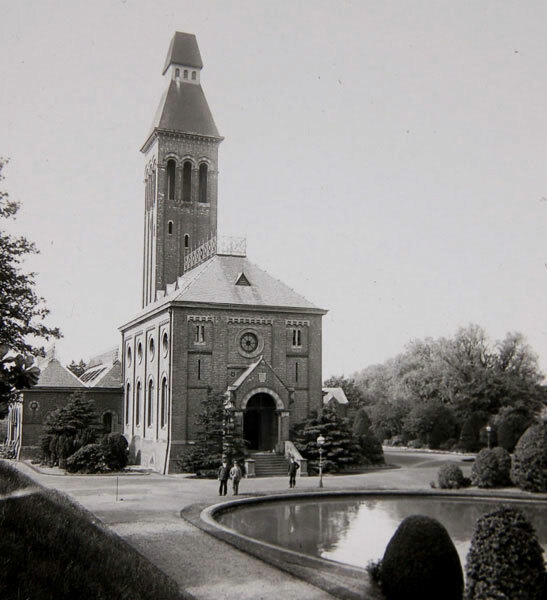 Built by Thomas Hawksley, it was the first waterworks to supply water at continuous pressure. 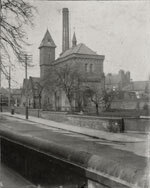 As the Industrial Revolution gathered pace the expanding town faced more public health problems and by 1830 the Nottingham Waterworks Company had abandoned its original works and established a new waterworks at Scotholme in Basford, where the water from streams and River Leen was not polluted by the town’s sewers. 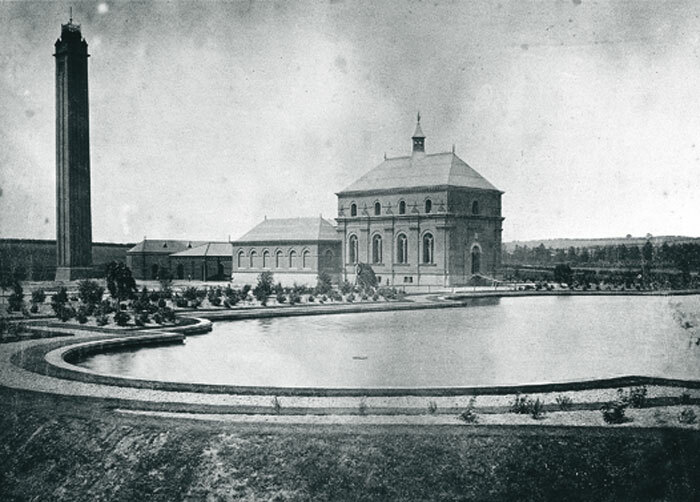 Founded in 1826 to supply the southern areas of the town, the Nottingham Trent Waterworks Company introduced a new approach to water supply under the direction of its engineer Thomas Engineer, Thomas Hawksley. 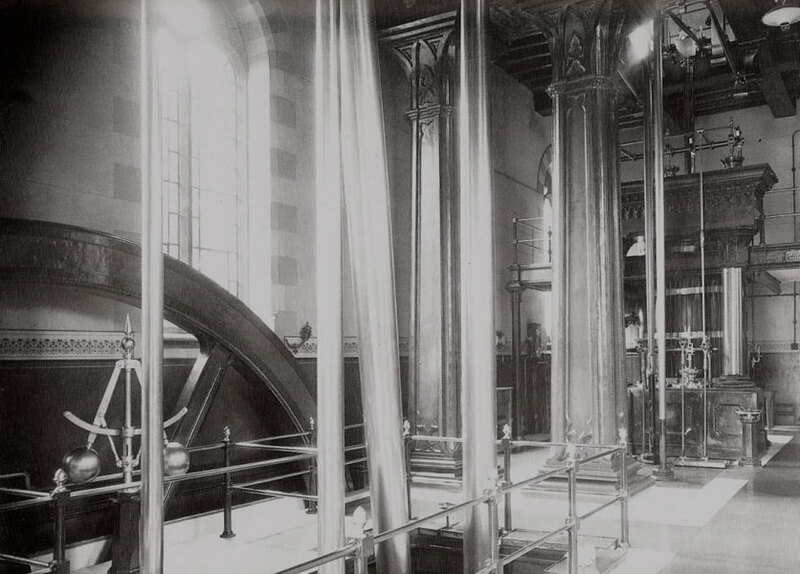 In 1831 Hawksley built the Trent Works pumping station, the very first station in England to provide fresh water at a constant high pressure which prevented the water from becoming contaminated. 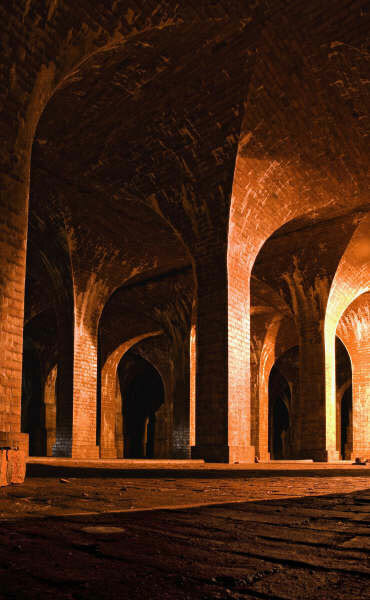 Water was diverted from the River Trent and passed through brick filter tunnels laid in natural beds of sand and gravel, into a small uncovered reservoir near Trent Bridge and then the works pumped the water up to Park Row Reservoir. However, the standards of health in the town continued to fall, despite the improvements to the water quality. Between 1720 and 1830 the population of Nottingham had increased from 10,000 to 50,000, mainly due to the introduction of framework knitting and the lace industry. But the town was prevented from expanding beyond its original medieval area by the Burgesses and Freemen, who wished to keep the surrounding common land for other purposes such as grazing and pasture. 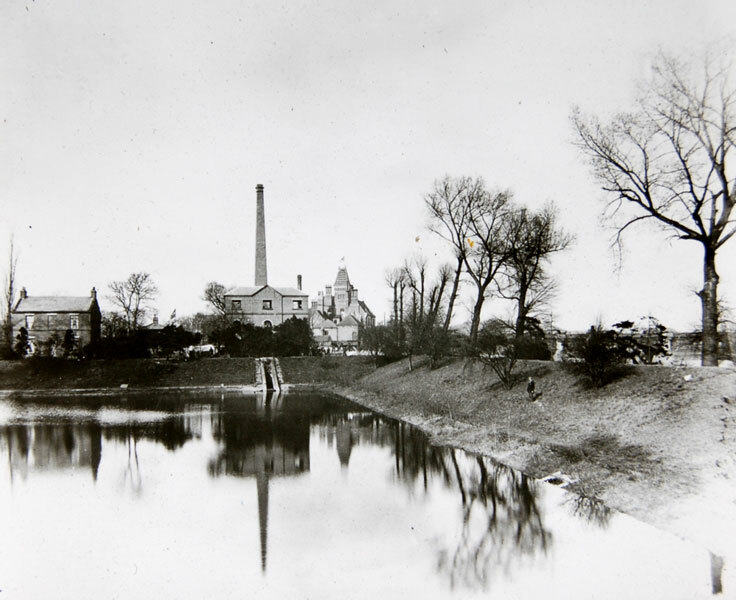 With Nottingham's rivers and streams becoming more polluted, Thomas Hawksley turned to the water contained in the sandstone beds beneath the town. Acting as a filter and a sponge, the sandstone (now known as Sherwood sandstone) was a natural reservoir containing vast quantities of very pure water; an ideal supply for the growing town. 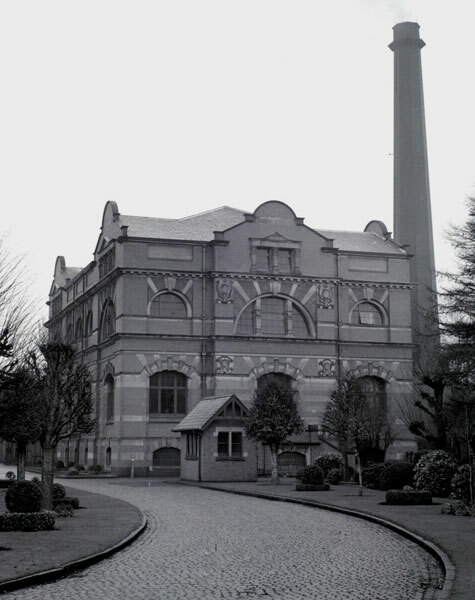 Between 1850 and 1880 the Water Works Company built a series of pumping stations and reservoirs, most of which are still used today. Of all those featured on this board, Papplewick is the only Station to survive and retain all its original features; the rest have either been demolished or converted: - click the thumbnails for further images. Opened in 1850 at the top of Nottingham’s Rope Walk. Opened in 1857 on the corner of Hydn & Hucknall road. Electrified in 1963. One engine preserved at Wollaton Park Industrial Museum. Opened in 1871 allowing Scotholme, Castle and Trent works to be closed. Small reservoir opened in 1850, large reservoir 1863. Total capacity 2.2 million gallons (10.2 megalitres). Original reservoir built in 1859. Capacity 1.6 million gallons (7.3 megalitres). Original reservoir built in 1872. Capacity 3.8 million gallons (17.3 megalitres). Closed in 1906 due to subsidence. The reservoir is now completely drained and guided tours of the interior are provided by the Papplewick Pumping Station Trust. The Station is famed for its ornamentation and Gothic Revival style architecture and is without doubt the most elaborate surviving Victorian fresh water Pumping Stations in the British Isles. It had been originally planned for a second pumping station to be built on the site but this was never realised when it became apparent that a second station would drastically reduce the yield from the wells. 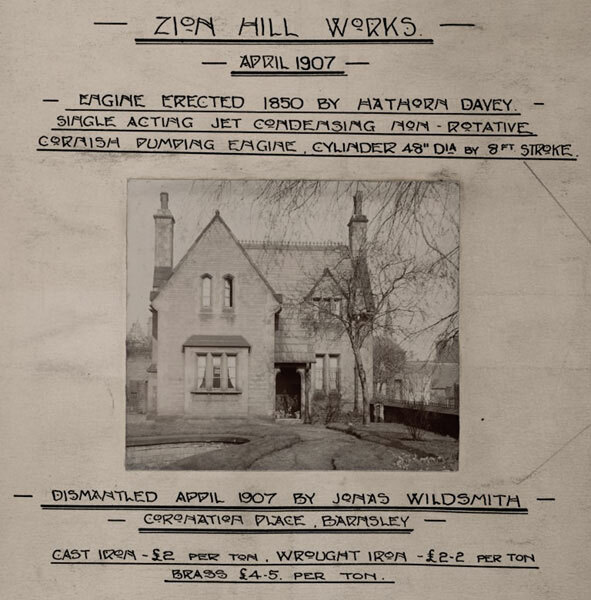 Unlike the expensive beam engines at Bestwood, Papplewick’s James Watt & Co engines cost just £5,525 each including installation fee. The Station was electrified in 1969 and has been a museum since 1974, leased from Severn Trent Water by the Papplewick Pumping Station Trust. Opened 1831, built by Thomas Hawsley at the age of 25. Located on the north bank of the River Trent near Trent bridge (now Victoria Embankment road). 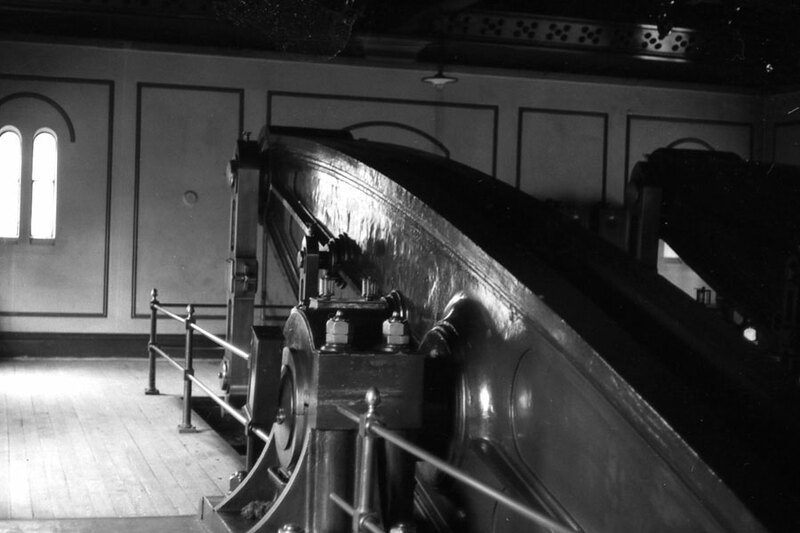 x1 single cylinder, 40hp rotative beam engine. 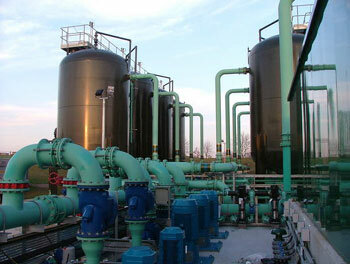 Delivering approximately 600,000 gallons per day. 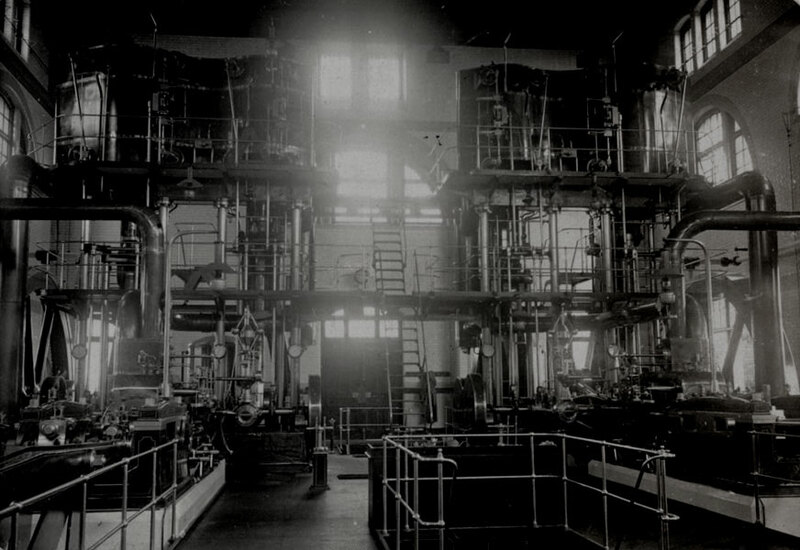 The Station was the first in the country to supply water at constant high pressure, reducing the risk of contamination. The water was filtered through sand and gravel beds from the River Trent and then pumped to Park Row reservoir. Opened in 1898, then extended 1908 and 1926. Located on Shaftesbury Avenue in the village of Burton Joyce. 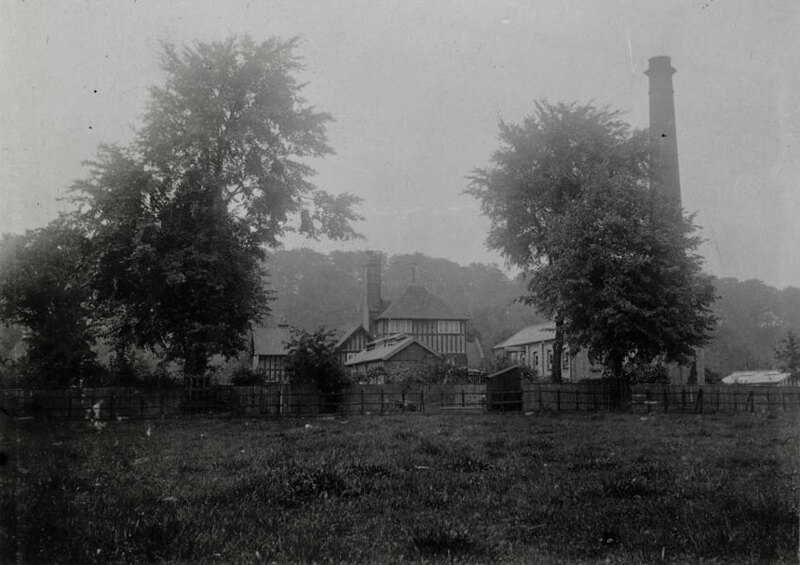 The original plant consisted of steam engines (unknown types) and was the first Station to pump water from boreholes to Mapperley and Colwick Hill Reservoirs. It was electrified in 1926.
x3 boreholes (14 and 15 inch diameter), approx 500ft deep. 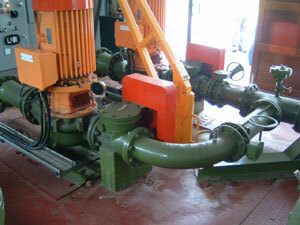 3 million gallons (13.6 megalitres) were pumped daily using three electric pumps and three booster pumps. 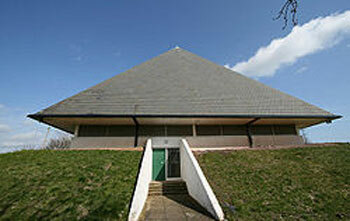 Opened in 1901, located on Brake Lane, 22 miles north of Nottingham near the town of Ollerton. 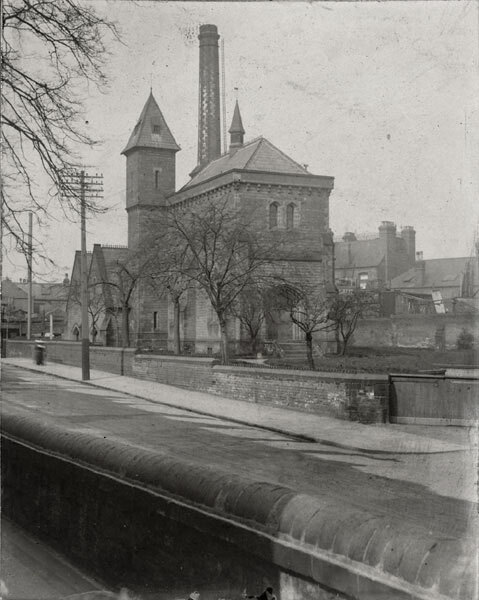 Boughton was the last pumping station in Nottingham to pump water from a large diameter well; boreholes and electric pumps were steadily becoming the standard method of water extraction (see Burton Joyce). Water from Boughton was pumped at a rate of 3 million gallons a day to Red Hill Reservoir. In 1973 Boughton was electrified and the engines scrapped. 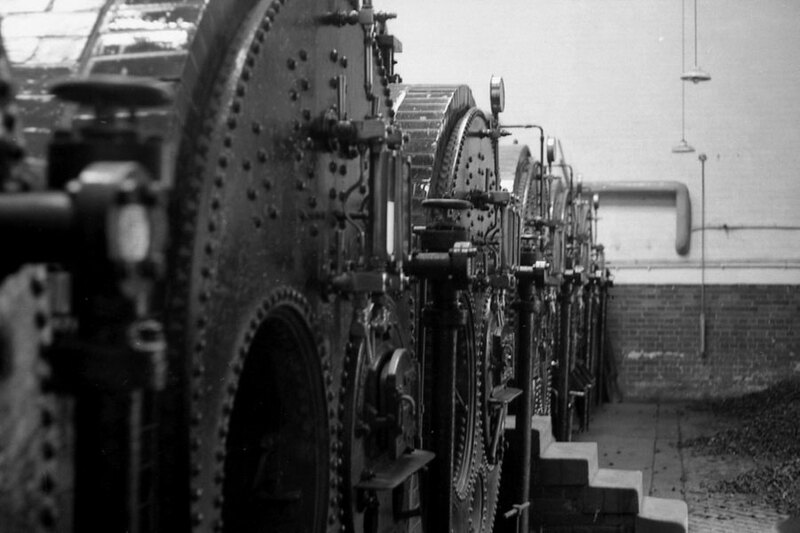 The money raised from the scrapping of the pumping engines was given to help establish the fledgling Trust at Papplewick. 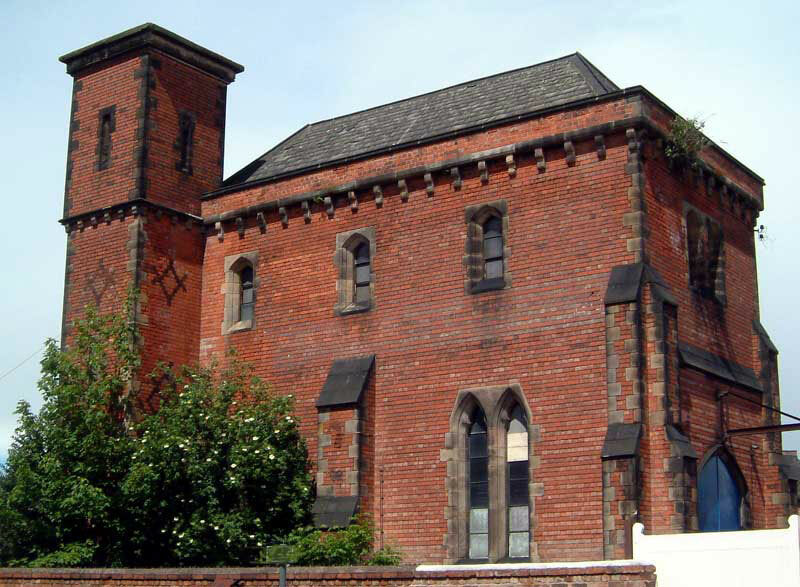 Although gutted, Boughton’s engine houses still stand and the site is currently a meeting and conference venue. 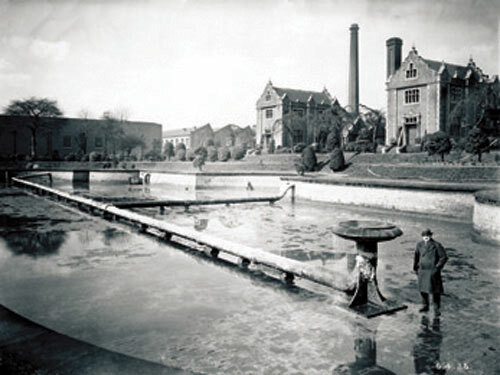 In 1880, responsibility for water supply passed to the Nottingham Corporation Water Department whose engineer, Marriott Ogle Tarbotton, quickly submitted a report drawing attention to the urgent need for increased supplies and storage of water. Tarbotton advised that instead of 28 million gallons a week, Nottingham required 35-40 million gallons per day. 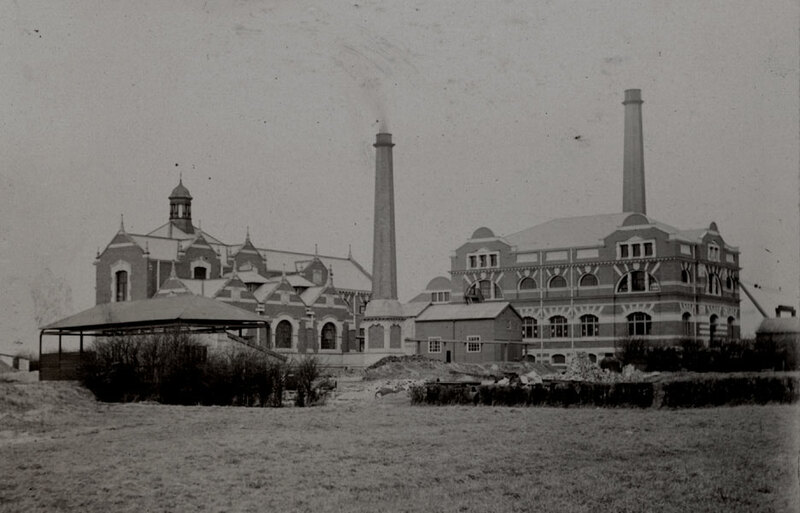 The result was the construction of Papplewick Pumping Station. Work on the chosen site began in 1881 when a pilot well was sunk to prove the water extraction capacity of the proposed pumping station. 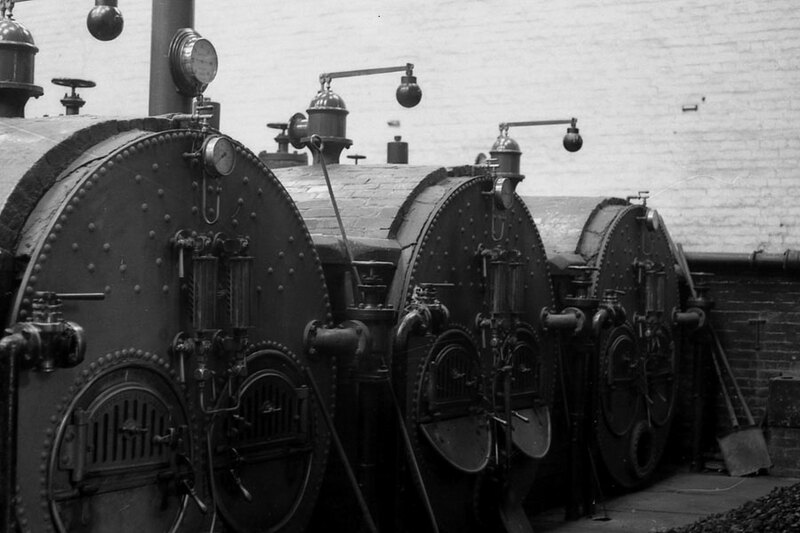 As construction progressed Papplewick was supplied with two 140hp James Watt & Co. rotative Beam engines at a cost of £5,525 each and six Lancashire boilers. The Station began pumping in earnest on 18th September 1884, with number 1 engine being successfully started and number 2 engine about six weeks afterwards. 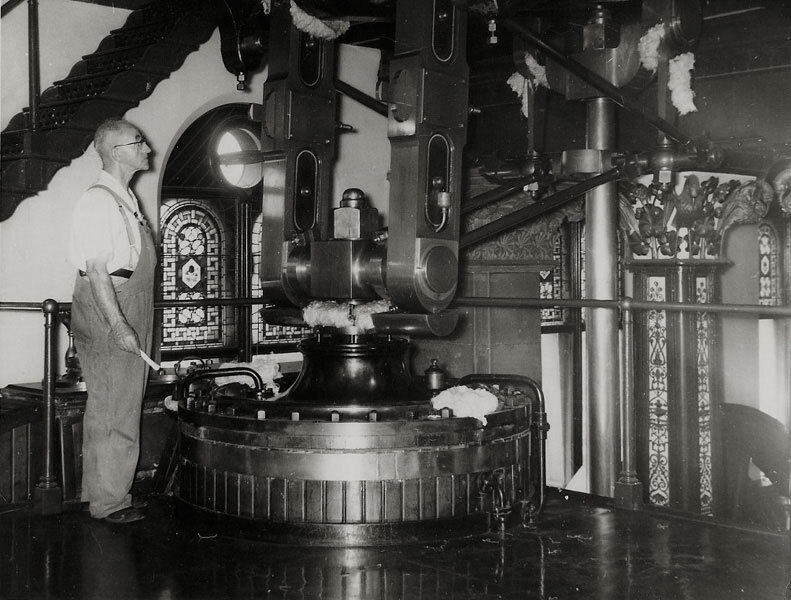 Each engine would prove capable of lifting 1.5 million gallons of fresh water a day from the 200ft deep wells and run almost continuously until the Station was electrified in 1969. Construction at Papplewick was completed in 1884 at a cost of £55,000 (approximately £4.5 million in today's money). 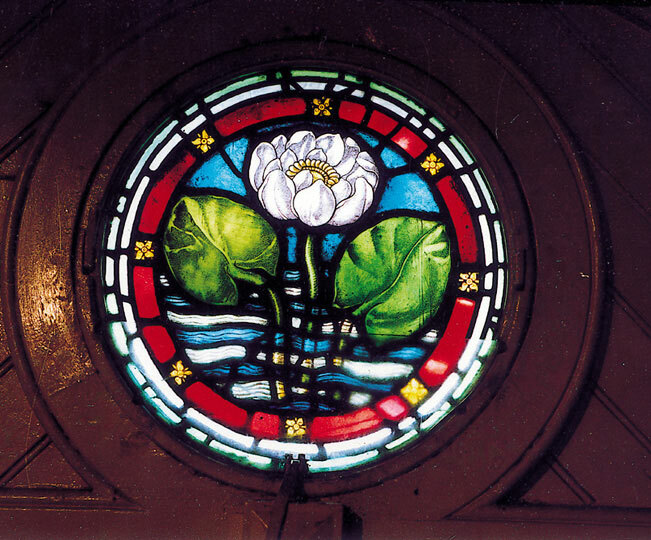 The Station had come in under budget so Tarbotton used the surplus money to adorn the Engine House with additional decoration, such as stain glass windows. Built in the Gothic Revival style then popular in the 1880s Papplewick is a fine example of Victorian architecture, displaying many features that are central to Victorian design. By the time Papplewick was built the funds for many buildings were coming from national and local government, industrialists and brokers, rather than from the church and aristocracy as in previous years. Papplewick was designed and built as a total concept, with equal thought being given to the main buildings, the grounds and the houses for the station staff. The original plan was for a symmetrical layout including two Pumping Stations although the second station was never required. 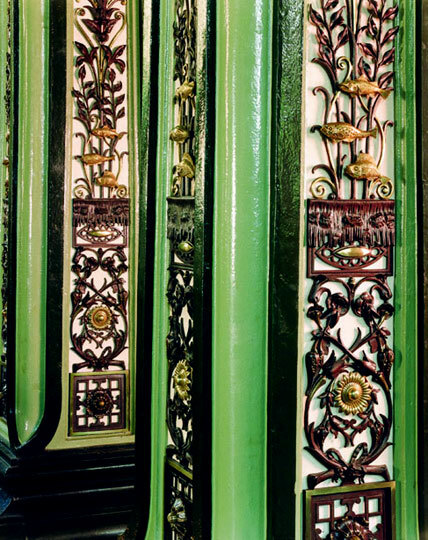 Some beautiful examples of ironwork can be seen in the Engine House, on the columns and on the engines themselves. The windows and the main doors of the Engine House also illustrate the importance of decoration in the design of the building. In the days of steam there were 14 men working at Papplewick: The Superintendent and his Deputy were responsible for management and maintenance and lived on site in two cottages; four Tenters who looked after the Beam engines; four Stokers responsible for the boilers; two spare men who were available for any duties; and two Gardeners responsible for the grounds. Staff usually worked at Papplewick for many years, slowly being promoted when somebody left or retired. Engine Tenter Samuel Garratt is a prime example - he spent a total of 41 years at the Station. To keep the engines running 24 hours a day throughout the year required the staff to work in three shifts (6am-2pm, 2pm-10pm, 10pm-6am) and each man was trained to stand in for colleagues who were sick or on holiday. Interestingly, staff did not receive any form of first aid training and casualties had to be taken to Nottingham as quickly as possible. In 1890 the Council built three additional cottages for Papplewick staff when it became apparent that the remote location of the Station together with harsh weather conditions prevented staff, particularly Stokers, from getting to the Station; the building work cost £520 and each house had a sizable garden, ideal for vegetable growing. The Pumping Station remained a self contained community well into the 20th century and until the 1960s travelling grocers and butchers used to call at the houses. Most staff that lived here grew their own vegetables, only leaving the Station for special occasions or essential supplies. The Council's various pumping stations were all run separately and the staff would usually meet each other once a year for their annual trip to the seaside. 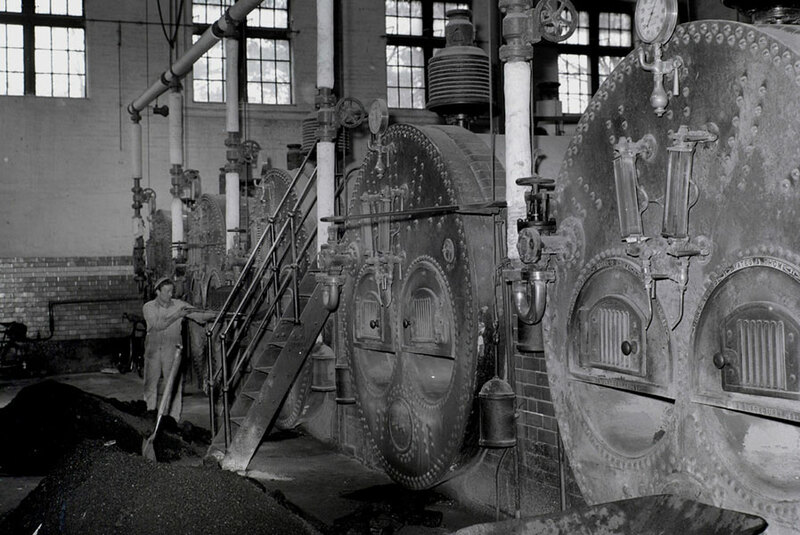 During the 1960s the pumping stations at Basford, Bestwood, Boughton and Papplewick were all converted to electricity. 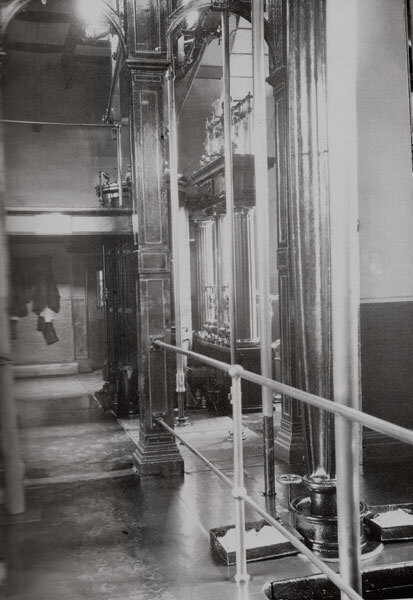 Papplewick was the last to be converted in 1969 for the sum of £50,000 although teething problems with the submersible pumps meant that the Beam engines were kept on standby until 1973. 1. 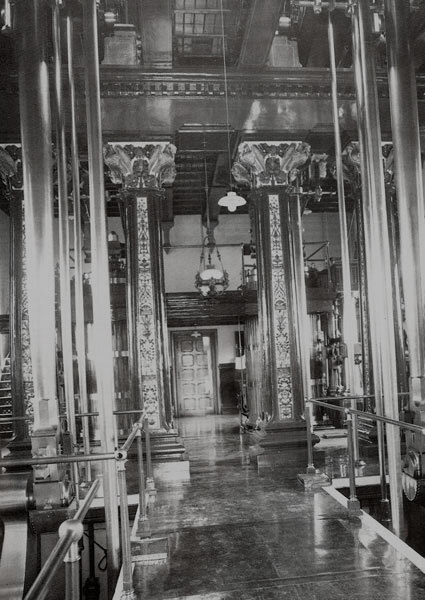 Four submersible electric pumps are located in the original pilot borehole, not in the wells that were pumped by the Beam engines. Approximately 4 megalitres (900,000 gallons) is pumped up from the sandstone each day - that's the amount of water used by 8,200 families in one day. 2. Having reached ground water level the water passes through the disinfection building, where a modern Ultraviolet process removes any bacteria. 3. 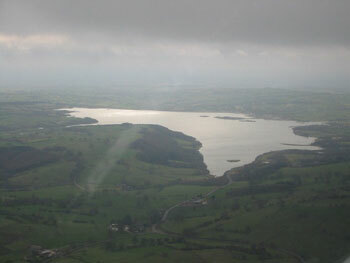 The water then flows ¾ of a mile to Papplewick Service Reservoir where it is blended with an equal quantity of water from the Derwent Valley Reservoirs in north Derbyshire. The new Papplewick Reservoir was built in 1957 and has a capacity of 9.5 megalitres (2.1 million gallons). 4. Before leaving Papplewick the water is treated with a mixture of chlorine and ammonia sulphate which helps reduce the level of nitrates in the water that has seeped through the ground from modern agricultural fertilizers. 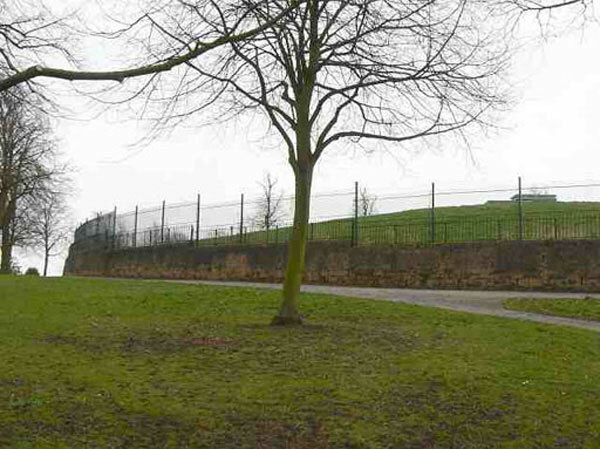 Water from Papplewick Service Reservoir is used to supply all of the Newstead and Ravenshead areas of Nottinghamshire and some of the areas around Linby and Bestwood Village. 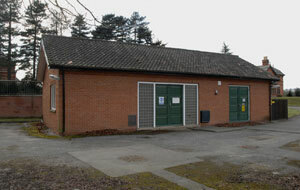 Whereas the original Pumping Station was manned by 14 members of staff, the modern electric Station is entirely automated and is operated by computer from Leicester. 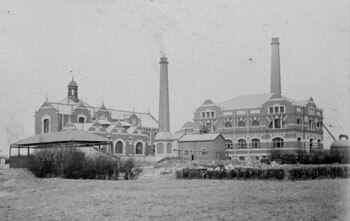 The supplies pumped at Bestwood, Papplewick and Basford began to lower the underground water table, so as Nottingham continued to expand in the late 19th century the Corporation had to look further afield for fresh water. 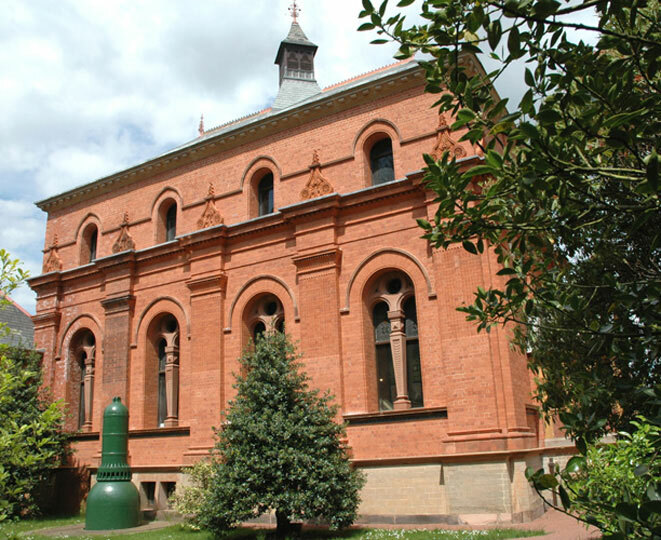 The first solution was to build more pumping stations, firstly on the sandstone itself such as Boughton Pumping Station (opened in 1901) and secondly in areas where the aquifer lay below other rock. These later stations therefore needed much deeper boreholes compared with Papplewick’s 61 metres (202 feet). In 1899 Nottingham Corporation joined with Leicester, Sheffield and Derby to form the Derwent Valley Water Board. 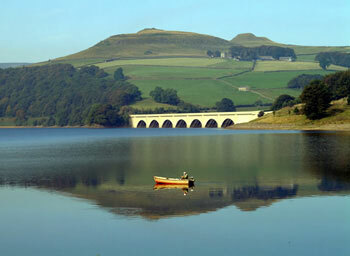 This organisation built three large reservoirs in the hills of North Derbyshire. Water from these reservoirs is treated at Bamford and flows by gravity to Derby, Nottingham and Leicester. Church Wilne treatment works takes up to 130 megalitres from the river each day, some of which is stored in the neighbouring reservoir before being treated and piped to Nottingham and Leicester. The original works, opened by Princess Anne in 1972, have been extended a number of times, to increase the output and to improve the water quality. Linked to this scheme is Carsington Water, opened in 1992. 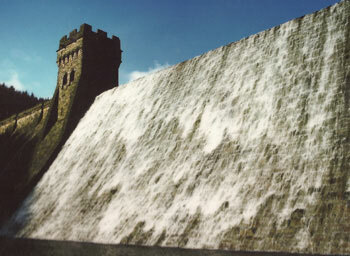 Water is pumped from the Derwent during the winter when the river is high, stored in the reservoir and then released back into the river during the summer for treatment at Church Wilne and Little Eaton. In 1974 the Nottingham Corporation Water Department, the Derwent Valley Water Board and all the other water authorities in Nottinghamshire and Derbyshire became part of the Severn Trent Water Authority. The new organisation was given responsibility for both water supply and sewage treatment and in 1990 it passed into private ownership, becoming Severn Trent Water. Nottingham's water is now linked to a network of pipelines stretching from the Peak District to south Gloucestershire. Severn Trent can therefore move water to where it is needed most, guaranteeing supplies to millions of people throughout the Midlands.